Quartz crystal is said to have a strong connection with water. It’s also associated with healing and protection. For over two thousand years this common crystal, the quartz crystal, has been used in various rituals to bring about rain especially by Native American Indians. Also Aboriginal Australians used quartz crystals in their rituals. Symbolic of the intellectual powers and the spirit that’s unique to the human race, quartz crystals used to play an important role in ancient rituals of these peoples. There are many different kinds of quartz crystals, some looking like crystals others no. 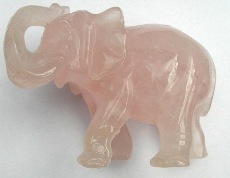 The Rose quartz is supposed to have receptive qualities that encourage feelings of love. It is said to inspire tranquility, cheerfulness, and loyalty that cannot be shaken in long-term relationships. There is also another kind of quartz crystal that makes the wearer receptive to good luck. That’s smoky quartz when worn that can help conquer sadness and depression. It can also be used to enhance one’s mood. The common type of “crystal ball” which was used during the Renaissance was originally made from beryl, not from clear quartz crystal as one might think. However, quartz crystals occasionally were placed on an ivory base and semi-coated with gold to assist the magician as he delved deeply into the psychic mind. Have you ever heard of cat’s eye quartz? It’s an unusual stone and can be made into beautiful jewelry. Oriental peoples have for ages put a high value on “phenomenal gems” that show powerful or mystical qualities. They felt the cat’s-eye quartz was one of the most outstanding of such phenomenal gems. To them such a stone was believed to bring especially good luck and fortunate consequences to whoever owned such a stone. 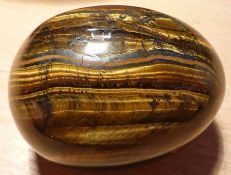 Even though the cat’s-eye quartz itself is considered the most potent in bringing good luck some other forms of the cat’s-eye stone are also beneficial. Quartz stones such as the Alexandrite cat’s-eye, the star-sapphire, and the star-ruby also had similar, but lesser powers. There are people who believe that by placing a quartz crystal in the light of the full moon it will enhance its luck giving powers. Then once done, by wearing or carrying the crystal you can ensure luck and good fortune, relieve minor pains, aches, and headaches plus balance the body’s energies to prevent the onset of illness. This sounds great and would be a low cost way to stay healthy. I wonder if anyone today believes in or have tried this for preventive medicine. Enter your comment below if you have tried this quartz crystal in the full moonlight thing and your results. What stones enhance good fortune in your life? What stones bring good luck– like crystal, emerald, jade- and things of that nature? Specifically what fortune do they bring? Find beauty in the most ordinary of stones & you’ll see, what you give is what you get. my best friend is really sad a lot (they haven’t been diagnosed with depression…yet e.e) and iv tried almost everything i can think of to make them happy again, but they just kind of seep back…..
are there any crystals that bring happiness? even if it doesn’t really work, i know if he has something with him that reminds him that its okay and that someone cares about him, i know it will cheer him up even a little. it worked before, but he lost his little charm that i made him ha ha. Meth? Okay just kidding. Your friend needs counseling, not jewelry. Anyone know of any negative gem stones? Anyways down to business, I’m in the process of plotting a novel and have been researching crystals, gem stones and whatever other names u cud have for stuff like that. Web links would be appreciated if possible. erm ok in response to one of my answerers what I mean by positive and negative qualities is when u read about stones such as ‘moonstone’ and people believe they have ‘healing’ qualities or can repel the devil or something. It isn’t necessarily true it’s just the speculation that I’m after. There have been individual gems that have been said to be cursed or whatever, the Hope diamond would be the most famous one I guess. Opal is the only stone I can think of that has been believed to be bad luck in general. I don’t know if people still believe in this today. Why did my crystal stones hum after lightning strike nearby? I’ve been searching around online with no luck, so appealing here to anyone with experience with crystals. We just had a huge storm blow through and lightning cracked right outside my office window. The air felt charged and my ears rang for a minute or so after. Once everything returned to normal I heard a loud humming. I thought something was wrong with the house so I took the dogs & left til DH came home. He turned off the power & investigated the house and it turned out to be coming from my bag of crystal healing stones. As soon as he touched the bag, the loud humming/vibration stopped. This was happening for at least an hour. Anyone know why? Should I replace these crystals with a new set or are these maybe better than they were before? I’m still looking for details online but no luck yet! Yeah, they’ve been blessed by Xenu you lucky duck!! You can now use them to help you cleanse yourself of all those nasty body thetans – tom cruise can show you how!! How Should Christians Look at the benefits of Gemstones? I am a Christian and do not believe in reading daily horoscopes. However, because God’s Bible is written also in the heavens I am not afraid of the fact that my sun sign is Gemini and my moon is Scorpio and that it does in general make up my personality, albeit in a very carnal way. Salvation and trust in God changes character and personality from the sinful nature to the heavenly one. But as I’ve done my browsing in my sign and friends I come across a deeper, more pagan part and wish that there could be sites on God’s Bible in the heavens dedicated to Christians. What concerned me is that I came across a belief that stones have “healing” power. While I know that God is the only one with such power he did give us herbs and good things on earth for our ailments under the curse of sin. But I wonder how much of this can be taken literally as I am VERY skeptical of believing that wearing stones can affect my life. Especially stones I should not wear causing BAD things to happen and stones I should wear bringing “luck“. I wonder how much of this can be true because I know that certain crystals when distorted have their positive and negative charged core separated causing millions of volts of electricity to be delivered. I know that a small electrical shock can cause a bee sting to stop hurting because it breaks down the proteins in the venom. Although no health benefits of stones were spoken of in the scriptures, I am sure that God, who created all things good, did not only intend that the precious and semi-precious stones he builds the gates in heaven of to be for decorative use only. The Bible has much to say about the stars. Most basic to our understanding of the stars is that God created them. They show His power and majesty. The heavens are God’s “handiwork” (Psalm 8:3; 19:1). He has all the stars numbered and named (Psalm 147:4). The Bible also teaches that God arranged the stars into recognizable groups that we call constellations. The Bible mentions three of these: Orion, the Bear (Ursa Major), and “the crooked serpent” (most likely Draco) in Job 9:9; 26:13; 38:31-32; and Amos 5:8. The same passages also reference the star group Pleiades (the Seven Stars). God is the One Who “fastens the bands” of these constellations; He is the One who brings them forth, “each in its season.” In Job 38:32, God also points to the “Mazzaroth,” usually translated “constellations.” This is thought by many to be a reference to the twelve constellations of the zodiac. The constellations have been tracked and studied for millennia. The Egyptians and Greeks knew of the zodiac and used it to measure the beginning of spring centuries before Christ. Much has been written of the meaning of the zodiacal constellations, including theories that they comprise an ancient display of God’s redemptive plan. For example, the constellation Leo can be seen as a celestial depiction of the Lion of the Tribe of Judah (Revelation 5:5), and Virgo could be a reminder of the virgin who bore Christ. However, the Bible does not indicate any “hidden meaning” for these or other constellations. The Bible says that stars, along with the sun and moon, were given for “signs” and “seasons” (Genesis 1:14); that is, they were meant to mark time for us. They are also “signs” in the sense of navigational “indicators,” and all through history men have used the stars to chart their courses around the globe. Astrology is the “interpretation” of an assumed influence the stars (and planets) exert on human destiny. This is a false belief. The royal astrologers of the Babylonian court were put to shame by God’s prophet Daniel (Daniel 1:20) and were powerless to interpret the king’s dream (Daniel 2:27). God specifies astrologers as among those who will be burned as stubble in God’s judgment (Isaiah 47:13-14). Astrology as a form of divination is expressly forbidden in Scripture (Deuteronomy 18:10-14). God forbade the children of Israel to worship or serve the “host of heaven” (Deuteronomy 4:19). Several times in their history, however, Israel fell into that very sin (2 Kings 17:16 is one example). Their worship of the stars brought God’s judgment each time. The stars should awaken wonder at God’s power, wisdom, and infinitude. We should use the stars to keep track of time and place and to remind us of God’s faithful, covenant-keeping nature. All the while, we acknowledge the Creator of the heavens. Our wisdom comes from God, not the stars (James 1:5). The Word of God, the Bible, is our guide through life (Psalm 119:105).